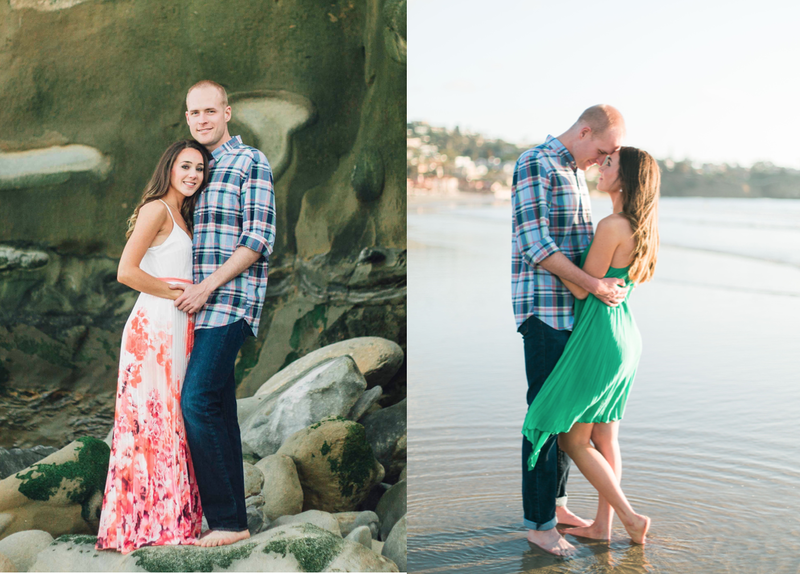 We were so blessed to be able to have 4 photoshoots before we got married, 3 in California and 1 in Minnesota. P.S. I wasn't a crazy bride... 3 of those 4 were free of charge. 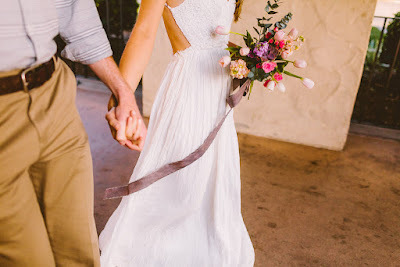 After preparing for those 4 photoshoots and seeing what worked and what didn't, I have some helpful tips that I would like to pass along to all of the lovely engaged couples. Hope you find these useful! Tip #1: Whiten your teeth. Yes, it might sound vain, but you will be SO glad you did it. The key here is that BOTH you and your partner should whiten, because otherwise there will be an obvious disparity. My husband and I whitened with Opalescence gel in trays for about 7 days before each photoshoot to touch up our original round of whitening. White teeth brighten up your whole look. Tip #2: Don't forget your LIPS. This is for both ladies and gentlemen. I see this in so many engagement photos... dried raisin lips. Ahhhhh! I get it. You're taking pictures for 1+ hours. You're kissing a lot. You're talking a lot. Your lips are going to get dry. But seriously bring a back up of chapstick for your man and bring something with color for you, whether that be a lip gloss, tinted lip balm or lipstick. You will be so glad you did. Tip #3: Add texture to your outfits. It's really easy to focus on color or pattern when choosing your outfits. However, including texture really draws the eye to the two of you and adds depth and richness to the photos-- like a chiffon pleated dress (my fav), a quilted vest, fur accents, buckle details, a layered look, crinkled silk, an airy scarf, edgy leather, cozy flannel, eyelet details, cut outs, woven sweaters, ruched sides, ruffled sleeves, lace overlays, studs, sequins, or suede. 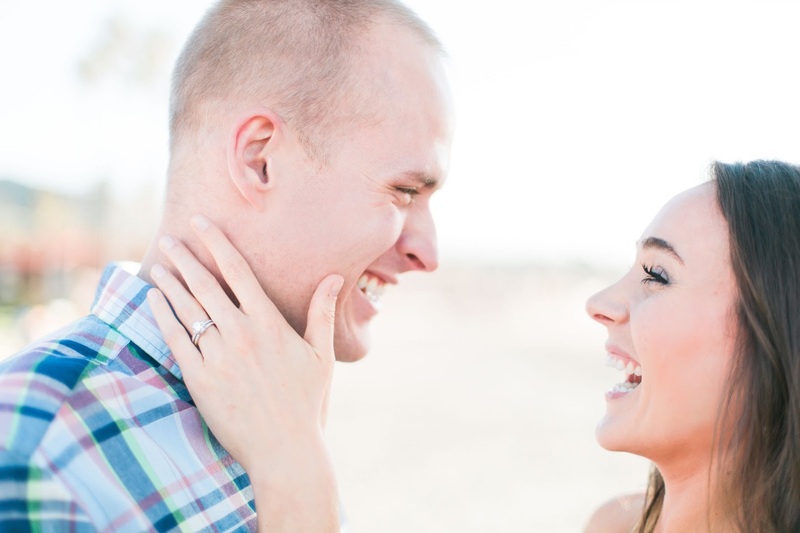 Tip #4: Take your engagement photos somewhere UNLIKE your wedding venue. Take the opportunity to go for a totally different backdrop. If your wedding is outside in the country, consider a more urban setting for your engagement photos. If your wedding is inside, consider a more natural setting. Our wedding was indoors in downtown Minneapolis, so our engagement photos were taken 1) on the beach, 2) in a park with lots of architecture, and 3) around the farm I grew up on. They all had a super different feel. 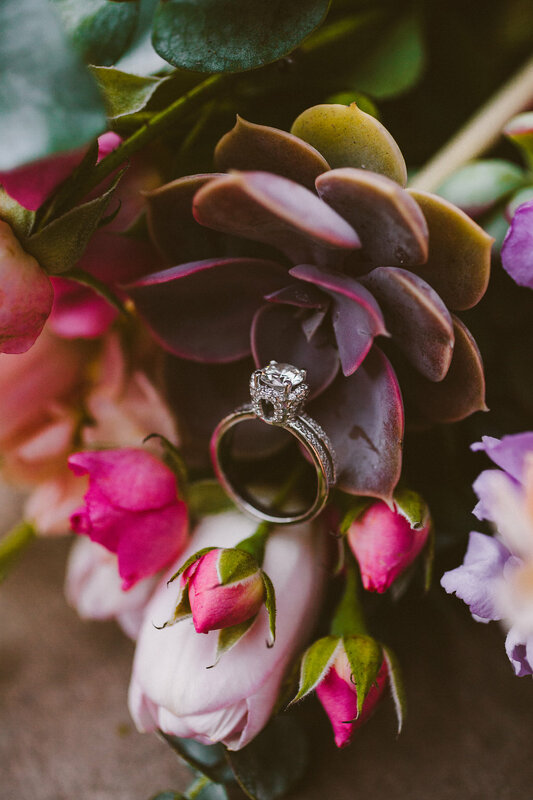 Tip #5: Clean your ring AND bring flowers! Even if you just got it last week you should definitely clean it before your photo shoot. And after seeing how amazing it was to have the bouquet of flowers at our shoot with Victoria Heer I would highly recommend bringing a bouquet as a prop. The photographer will love having it to be creative with. Look at what Victoria Heer did with my engagement ring the bouquet she brought for us! Tip #6: Look on Groupon for photographer deals. 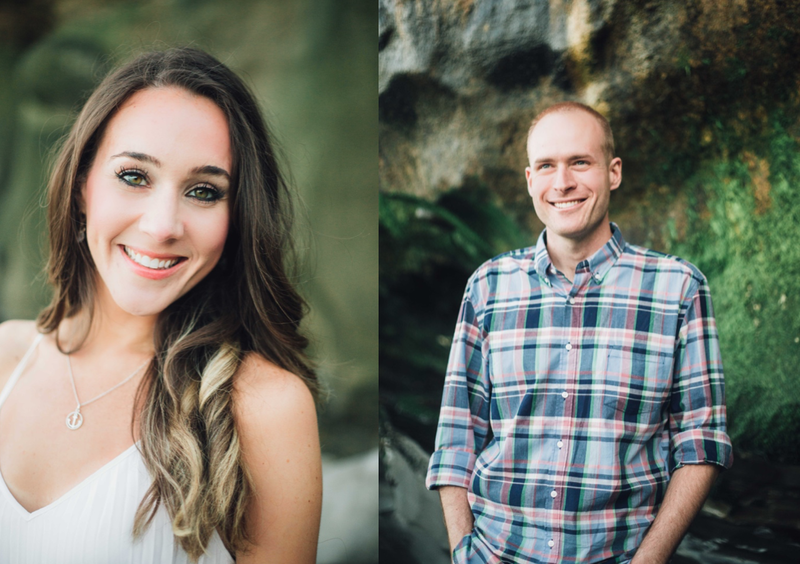 This sounds c r a z y, but we seriously paid $50 for all of our beach engagement photos with Dani Toscano of Fig & Rose Photography... yeah... and she was amazing! The key here is to match up the Groupon deal photographer with their Yelp reviews and personal website so you can review their work. She gave us 100+ retouched, yes all retouched, photos and all of the digital files. Incredible! Groupon frequently has 20-30% off coupon codes for local deals, too, so make sure to find a coupon online before you buy. Tip #8: Practice any Pinterest poses that you want to copy beforehand. You don't want to waste time pulling up Pinterest on your phone during the photoshoot to find that one cute engagement picture. Do the photographer a favor and practice it in a mirror beforehand so you're all set to go. Tip #9: Ladies, try wearing something that will move with the breeze. It looks really lovely in outdoor photos when you are wearing a floaty dress or skirt that flows nicely when there's a breeze. While a structured sheath dress might look super classy, an airy, floaty ensemble will create interesting lines and a more lively, dreamy feel. Tip #10: Request to receive all photos in color and not any in sepia or black and white. Why? Because you can always add the black and white or sepia filter yourself, but if there's a photo in black and white or sepia you can't reverse it to color yourself. It gives you more options if there is a photo you love love love. Tip #11: Ladies, don't wear anything strapless. For those close up shots of your faces you will probably look naked... and then it will look like an entirely different type of photo shoot. Ehem, yeah. Tip #12: Make sure to get photos that feature the man, not just the woman. A lot of photographers tend to focus the engagement session on the bride-to-be, showing more of her face, etc. Sometimes they forget that the man is not just a prop. The man is the handsome, incredible prince charming that swept her off her feet and he needs some face-time, too! The amazing photographer Victoria Heer pointed this out to us and made sure to showcase my husband. Tip #13: Choose posing-inspiration that matches your height ratios. 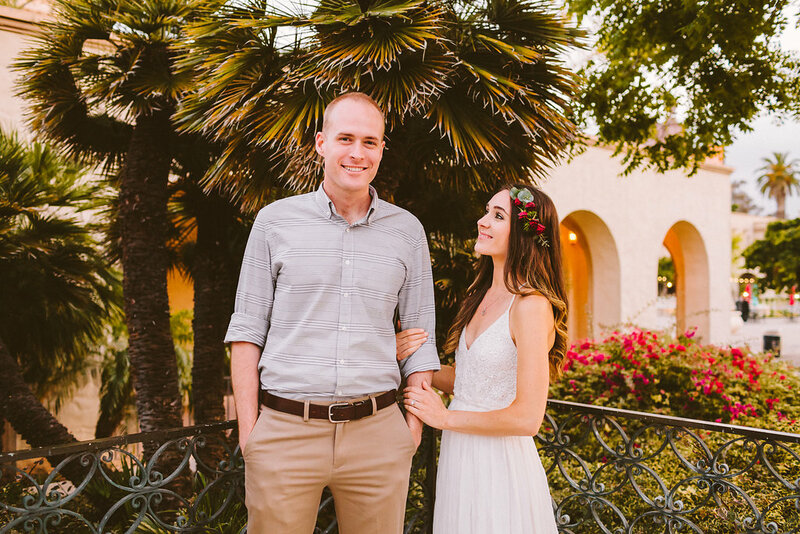 One amazing photographer, Victoria Heer, pointed out to me that a lot of couples have ideas for poses that totally don't work with their heights. For example, if you and your partner are both 5'8" and you're trying to emulate a pose that is done with a 5'2" woman and 6'2" man it may not look the same... and it may not be possible without using stairs, etc. Keep this in mind when looking for inspiration. Tip #14: Ask for a couple of individual shots as well. It's nice to get an individual photo of each person during your engagement shoot, and sometimes couples forget to do this. You'll be glad you got one and it's nice for mixing into your engagement shoot album. Tip #15: Don't schedule your photo shoot for a week night after work OR on a super busy day. It might sound like it will work out, but chances are you'll feel rushed and it can translate into your photos. Our most recent photo shoot in Minnesota was two days before our wedding... not my smartest idea. Let's just say it was a jam packed, stressful day and we ended it with a photoshoot. Wesley looked handsome as usual, but I felt like a hot mess express.